It is not new that promoting your business on the internet is one of the best and fastest ways of getting more customers and reaching more audience. With over 3.4 billion people having access to the internet across the world, the internet has become the biggest marketing channel in the world. No serious business can decide to ignore the internet. If you are not using it to your advantage then your competitors will definitely have an upper hand. One of the challenges that most businesses have is that they don’t know the channels they should us in marketing goods or how to do it. The number of people using social media is on the increase. Social media giant, Facebook, has over 2 billion users. That is huge. If you want to get more customers consistently for your business, you need to start using Facebook, Pinterest, LinkedIn, Twitter, Instagram, YouTube, etc to reach out to your audience and close more business deals. Search Engine Optimization is important in digital marketing. Its the full meaning of the acronym SEO. When the people interested in your products and services search on Google, can they find your business on the first page of Google? If the answer is no, you need to work on the SEO for your business in order to start getting targeted audience who are interested in your services and products. Email marketing is one of the best channels to generate consistent sales online. If you are marketing your products online and not utilizing email marketing, you are totally missing a great opportunity to generate more sales. For email marketing campaign, you can try MailChimp.com for free. Advertising your goods and services via Google is also a good way to promote your brand online. You can use Google Adwords to advertise on Google search engine, your goods and services will be advertised on websites and blogs. Over 4.9 billion people across the globe have access to a mobile device. The potential of getting more customers via mobile marketing is huge. There several means of doing moblie marketing, but Bulk SMS is one of the most popular means of marketing on mobile. If you want digital marketing to work for you, don't neglect mobile marketing. Marketing online is no longer optional but mandatory in this age and time. 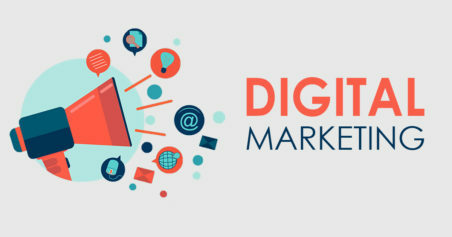 Neglecting digital marketing is one of the biggest mistake any business will make.